I am thinking… that I don’t understand why there has to be added language to our state’s marriage equality legislation that will prevent people from being sued if they won’t participate in marriage equality. I wouldn’t want someone to bake my cake, help me plan, or perform my wedding if they didn’t want to. Everyone seems to look at the negative side of things instead of the positive. I am thankful for… my good health…even though my allergies have been running amouk this week. From the learning rooms… Am learning that I really enjoy hand work – in both quilting and embroidery. It is so relaxing. Monday: Roast Beef Sandwich and homemade rice pudding for dessert. 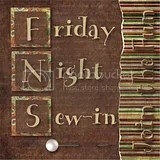 Tuesday: Dinner out with one of my quilt guilds. We end our year with a nice dinner out. Thursday: Hamburger and homemade french fries. I am going… to a quilt show on Sunday afternoon…can’t wait! I am hearing…traffic noise as everyone comes home from work…and the news in the background. Around the house…the floors need to be have the sweeper run over them and dishes from breakfast need to be done – somehow that and laundry never seem to go away. One of my favorite things…is all the lilacs that are blooming right now…They look and smell beautiful! 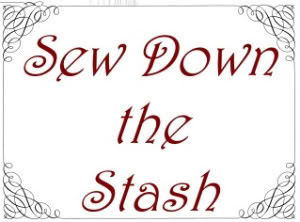 A few plans for the rest of the week: participating in my apartment complex’s garage sale on Saturday morning; Quilt Guild meeting on Thursday morning, and reading the new James Patterson book! I wish you could see her eyelashes! They are gorgeous! She had been sheared and was looking her best at the New Hampshire Sheep and Wool festival. 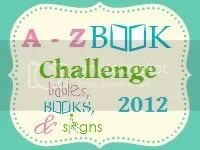 You can read more Daybooks or participate here! It’s my birthday! Today I am 13! Lucky 13! My mommy adopted me when I was six weeks old from the Humane Society in Tampa, Florida. I was the cutest one there that day! My mommy has given me a great life! I have lived in three states – Florida, Tennessee and New Hampshire. She gives me wonderful food that I like and lots of treats. She tries to buy me toys – but, I’m not big into toys. I love the super scratcher she buys me – it comes with catnip! The little toy mouse is cool to sling around…and my favorite other toy is the white bow off a present. I’m lucky to have a really special mommy! Outside my window… It is sunny, yet the clouds are starting to drop in. Could be rain tonight but I don’t think so. The street is finally paved so windows can now be opened without a lot of dust intruding. I am thinking… that I have done a ton of reading in the last few weeks – 7 books! They were the first 7 in the Women’s Murder Club by James Patterson. Number 8 came out a few weeks ago and I am on the list at the library! I am thankful for… the great week-end I had. Got to see a lot of my friends at New Hampshire Sheep and Wool! Spent Mother’s Day with my mom at a lovely tea the nursing home had. It is fun to see that Mother hasn’t lost her sweet tooth – she really like the pastries! From the learning rooms… I am learning that we cannot live someone else’s life for them. Mother’s Day tends to really bring that to mind – especially for those of us who have children! We want nothing but the best for them and we want to be able to make sure that they never have any problems or heartaches…but, it doesn’t work that way. Monday: Ham Sandwich on toast with lettuce; grapes for dessert. Tuesday: Fried Rice at the Chinese Restaurant before going to the library to hear the author of Winter Games. Wednesday: Liver and Onions, mashed potatoes, corn. Sunday: Sandwich of some kind as I eat a nice big lunch at church and am usually full. I am wearing… black socks, blue jeans, t-shirt with the Cayo Costa State Park logo (Go ahead – google it – it is a gorgeous Florida State Park on an island with NO cars! I am going… to quilt guild tonight and will either be working on my Cathedral Windows or on the Heart to Hand quilt project we are doing. I am hoping… that my friend, Scarlett, will not be so lost in her grief over her mother’s passing. Her mother would want her to continue to enjoy life. I am hearing… the quietness in my apartment. Don’t have the TV, radio, or stereo on and it sounds so peaceful. Around the house… Still cannot get my desk to look uncluttered – mainly because it is cluttered. And, not with current mail. I have been very good about getting rid of the mail the day it comes in – but, I had some accumulation of it before I started being vigilant. 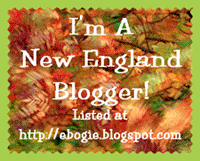 One of my favorite things… was going to the New Hampshire Sheep and Wool Festival. I enjoy seeing the beautiful yarns, knitted items, and visiting with the animals. The sheep, llamas, alpacas and border collies are all so sweet. A few plans for the rest of the week: Thinking it is time for rice pudding and maybe baking something – like a coconut cake or cupcakes; going to library to support a new author; and the quarterly meeting with Mom’s team at the nursing home. Plan to knit and quilt a bit this week. Here is my sweet cat, Killian, getting ready for bed. I tell him to go and get his blankie – that it is time for bed! And, he obeys me!